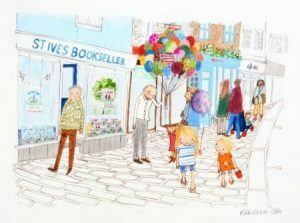 St Ives Bookseller is one of the leading independent bookshops in the UK and part of a family-run company, Mabecron Books Ltd, who also own 3 other shops in Cornwall and South Devon. Beautifully fitted with solid oak bookcases and Cornish slate floors, we aim to stock something for everyone, with a large general range of over 5000 titles. 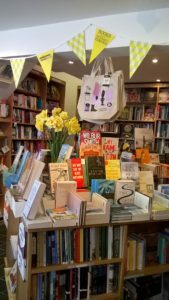 The children’s section is particularly tempting, as are the central tables packed full of titles to browse through, from prize winners to holiday reads, from well-known local authors to independent gems. 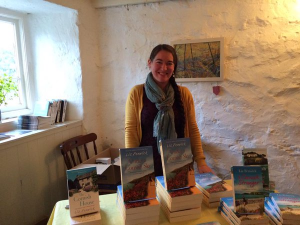 Our friendly and knowledgeable booksellers are on hand to help you find your perfect read! Though a bookshop has been on this site for over 50 years, the shop was established in its current identity in 2001.